NorthStarr Media Group’s Client: Vettana ToGo is a media training company that teaches CEO’s, entrepreneurs, companies, brands etc how to give their best presentation on camera (http://www.vettannatogo.com/page1/home.html). NorthStarr Media Group’s Role : NorthStarr Media Group produced and directed the in studio portion of these videos. Vettanna ToGo handled the post production work (editing, graphic and music) in house. NorthStarr’s Notes: Vlogs is short for video logs and can be compared to “blogs”. It’s typically short video clips shot with someone addressing the camera about a topic of their choice. The goal is to get people to come back to your Vlogs because they are interested in a company and or brand’s information. An effective technique used by CEO Jenn Flaa is to pique the interest of her audience. 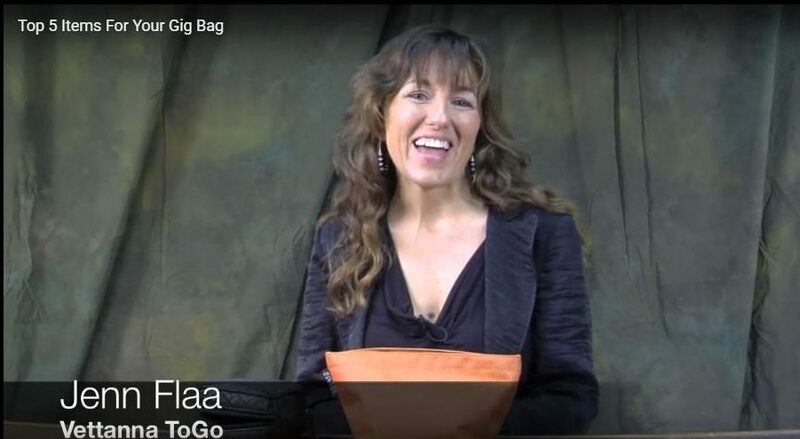 In the first video her “gig bag” works as a good prop because before she shows anything, one begins to wonder, what’s in the bags? She then starts giving us a few tips on things that a women should have with her when doing an on camera interview. Once we are fully engaged, she uses the bag again as a hook by saying “I have other things in here as well. You want to see what they are? Come to class”. In the second video she shares some tips that explain how one can get a sparkle in their eyes when they are in an on camera interview setting. After the tips the logo graphic page appears. The way in which she presents it implies that she has more information but you have to come to her class to get gain more knowledge. By Jenn presenting her nuggets of her knowledge in this way, it can get potential clients interested in her classes thus increasing sign-ups for her training course which leads to an increase in revenue.